The point is made in Building a State, the history of the Public Works Department from 1829 to 1985, that there was very little need for the government to provide water supplies in Western Australia prior to the late 1880s. Domestic water supply was largely the responsibility of the individual householder. 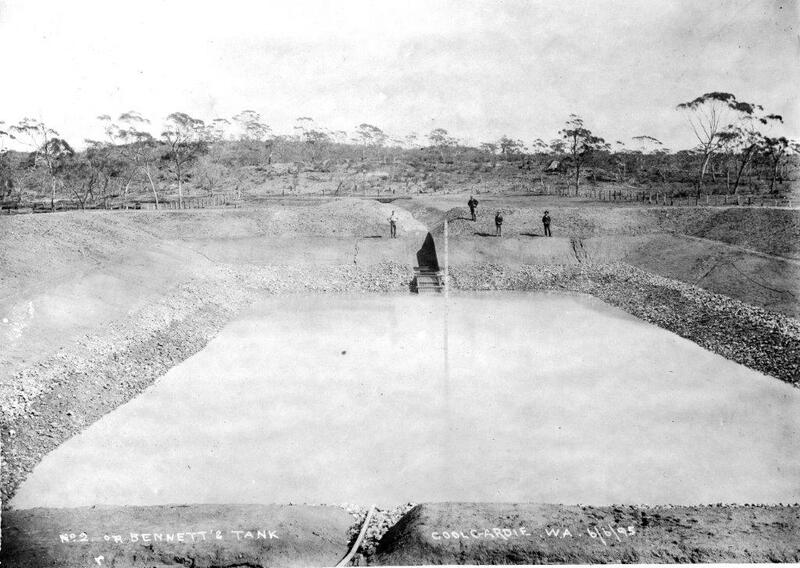 The discovery and development of the goldfields, however, particularly the Yilgarn, Colgardie, Murchison, Dundas and other adjacent fields set u a chain reaction which, in the space of a year or two, placed the Public Works Department under extreme pressure to provide even the most basic water supply to those areas. The Yilgarn and Coolgardie discoveries resulted in the rapid development of the Eastern Railway which needed copious amounts of good quality water for its operations. In September 1893 Assistant Engineer William Shields was sent to search the country either side of the railway from Northam to Southern Cross and beyond for any permanent water or the means of obtaining it. Shields recommended the use of large areas of rock from which run-off could be obtained. 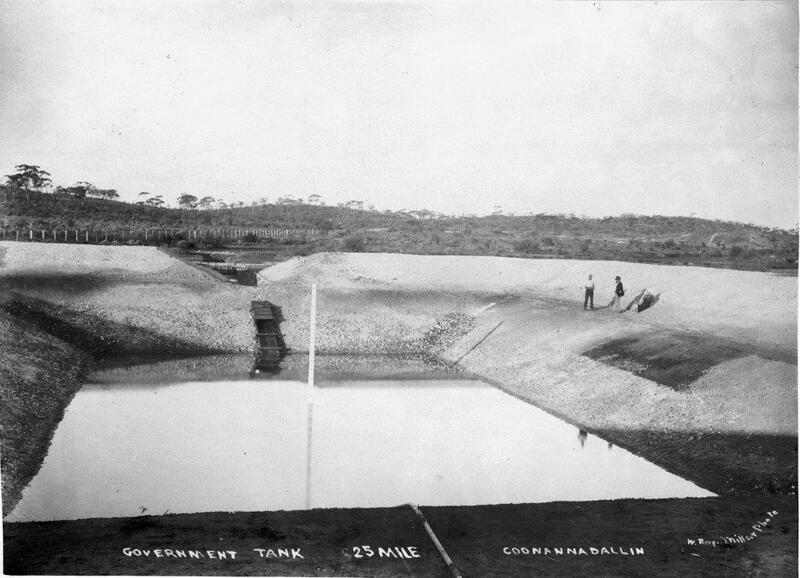 Following his recommendations, four large excavated tanks were constructed at Kellerberrin, Merredin and Parker’s Road, ranging in capacity from 4 million to 7.5 million gallons. 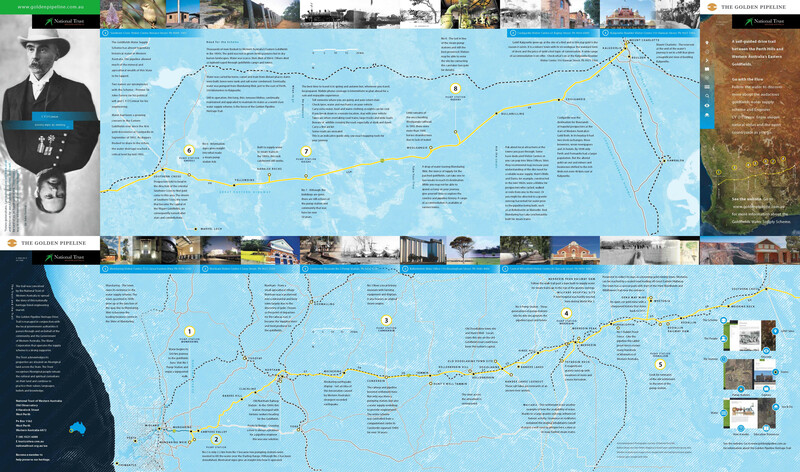 The contractor for the railway to Southern Cross, J McDowell constructed the first three as an addition to his contract. The one at Parker’s Road was constructed by the Public Works Department.